Attorney General Ken Paxton is looking to get ahead of an anticipated barrage of legal challenges to Texas' ban on "sanctuary cities." Attorney General Ken Paxton is looking to get ahead of an anticipated barrage of legal challenges to Texas' ban on "sanctuary cities," which takes effect Sept. 1. Shortly after Gov. Greg Abbott signed Senate Bill 4 into law on Sunday, Paxton filed a lawsuit — known as a complaint for declaratory judgment — asking a federal court to declare the law constitutional. The lawsuit specifically asks the U.S. District Court for the Western District of Texas to rule the law does not violate the 4th or 14th amendments to the U.S. Constitution and is not pre-empted by federal law. 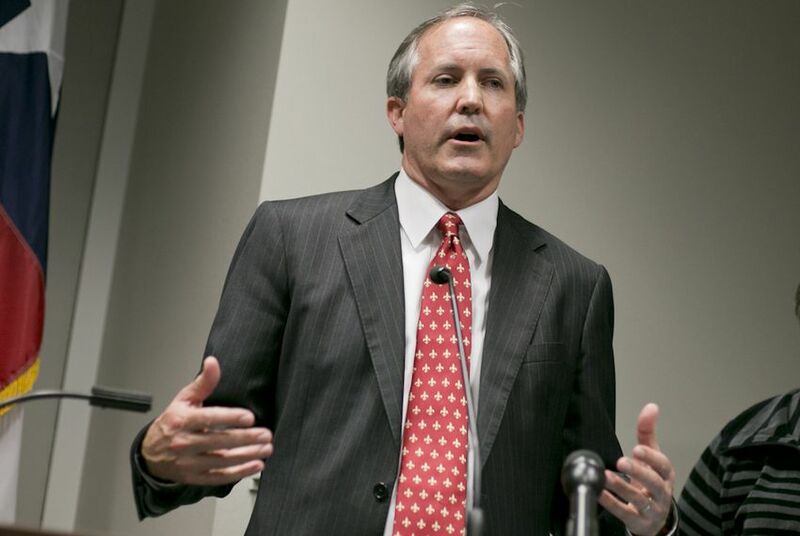 "SB 4 is constitutional, lawful and a vital step in securing our borders," Paxton said in a statement. The lawsuit was filed against the government and elected officials in Travis County, which has been a battleground in Texas Republicans' push to crack down on criminal suspects living in the United States illegally. The county's sheriff, Sally Hernandez, drew Abbott's ire earlier this year when she announced that her department would reduce its cooperation with federal immigration authorities. SB 4 aims to punish local law enforcement officials if they don’t honor requests from federal immigration agents to hold noncitizen inmates who are subject to deportation. The law also includes a controversial provision that allows police to inquire about the immigration status of people they lawfully detain. Even before Abbott signed the legislation, Democrats and immigrants' rights groups were vowing to challenge it in court. If successful, Paxton's lawsuit could limit the scale of the anticipated legal battle over SB 4. Opponents of the law said they were not deterred by Paxton's lawsuit. One of the defendants, the Mexican American Legal Defense and Educational Fund, called the attorney general's move a "frivolous legal action, filed precipitously and without basis in the law." "We will see you in court, Governor Abbott," Thomas Saenz, MALDEF's president and general counsel, said in a statement. "In the meantime, we hope that both the governor and attorney general will seek treatment for an apparent problem with premature litigation." At least two dozen protesters on the grounds of the Texas Capitol were charged with misdemeanor trespassing, the culmination of a day-long sit-in in protest of the "sanctuary" jurisdictions bill.